Read on Great Learning Founder, Mohan Lakhamraju’s coverage in Newscorp VCCircle to know why he left his firm and lucrative venture investment career to become an education entrepreneur. Even as New York-based hedge fund Tiger Global continues to make headlines with its large portfolio of Internet companies, some of them unicorns, its former India managing director is quietly bootstrapping an e-learning venture. 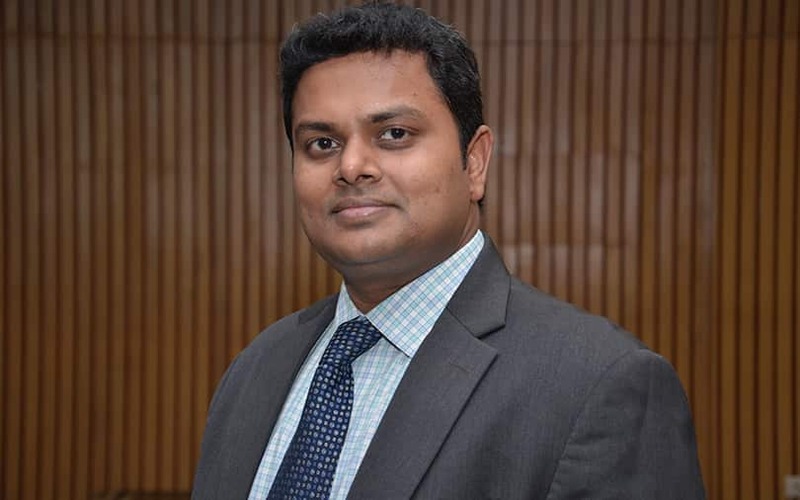 Mohan Lakhamraju, who set up Tiger’s first India office and worked with the firm till 2009, is now focusing on his four-year-old e-learning startup which, he claims, has been profitable from the first year. After leading venture capital firm Draper Fisher Jurvetson’s investment activities in India for two years, Lakhamraju moved to Tiger Global in 2006. Until then, Tiger was merely scanning the Indian market and managing its fledgling portfolio directly from the US headquarters. Lakhamraju oversaw Tiger’s public markets and private equity investments in India, and was involved in some of the company’s early bets here, including MakeMyTrip and JustDial. In those pre-consumer Internet boom days, however, Lakhamraju’s prime focus was the education sector. The prolonged lull in the market during the global financial crisis, when many global funds including Tiger paused investments, triggered soul-searching for Lakhamraju. He left the firm and his lucrative venture investment career to become an education entrepreneur. This wouldn’t be the first time though that Lakhamraju would tread off the beaten path. An IIT Bombay and University of California, Berkeley alumnus, his early career, too, saw several twists and turns. He left his PhD to join Stratify, a legal electronic discovery startup in Silicon Valley, as a founding member. In 2003, when Stratify was sold, he returned to studies and pursued an MBA programme from Stanford. Upon graduating, he joined Draper Fisher. After he left Tiger, Lakhamraju bought a majority stake in Chennai-based Great Lakes, one of India’s top private institutes for management education, and became its vice-chairman and CEO. He went on to set up a new campus in Delhi. Great Learning adopted a blended approach, which Lakhamraju calls mentored personalised learning—online tutoring aided by classroom training and constant monitoring. “What we have realised is that pure online self-learning has limited effectiveness in many areas. It has to be tangible. Purely online doesn’t work, particularly in the Indian context, where we are not trained to make decisions based solely on learning since we are spoon-fed in schools,” he explains. Great Learning offers a bunch of courses in decision sciences and business analytics. It tapped into the vast demand for analytics among tech professionals, who find that mastering latest technology tools is critical to career progression. In fact, many of its competitors including UpGrad and Emeritus also have a sharp focus on analytics. Edtech startup UpGrad’s co-founder Mayank Kumar had told VCCircle that analytics was the company’s biggest revenue stream, and it was already profitable. Emeritus has invested $1 million to build an analytics hub. Another e-learning programme that Great Learning offers is e-commerce-focused MBA. Lakhamraju said the firm was currently conducting trials for a fin-tech course while courses in machine learning, artificial intelligence and cloud computing were in the pipeline. He did not share the revenue numbers but said that Great Learning “will probably be among the top five e-learning companies in the country”. The company has enrolled 5,000 students so far. It might seem like a small number, but at an average course fee of Rs 4 lakh, cumulative revenue works out to a neat Rs 200 crore—a formidable number for a four-year-old venture. “Each year we are tripling in size without having to raise any external money,” says Lakhamraju. “We have 3,000 students in the current year; it was 1,000 last year. The year before that it was 300 and, before that, 30,” he adds. So how tough is it for a former venture capitalist to resist the lure of external investments? “If I want I can sell part of my stake today; we will do it at the right time. There is no rush. I don’t need investment to buy customers,” he explains. Sounds about right for a startup that gets a third of its customers through references! Indians’ hunger for quality higher education, which ensures a steady cash flow, presents a huge opportunity for edtech companies. The challenge is on the supply side, Lakhamraju says. “Expertise and quality people are my constraints. Creating a high-quality programme is really about people,” he explains.